Gus Eagleton’s graffiti work is one of many styles that will be on display at the festival. Source: Gus Eagleton. Iconic Australian and international artists will take the stage this weekend on the Sunshine Coast for the Maroochy Music and Visual Arts Festival. Festival-goers can expect to see acts by DZ Deathrays, Hermitude and WAAX and can look forward to watching all the performances on one stage. The festival will feature an amphitheatre, an open-air art park, where visual artists, including Thom Stuart, Conrad Square and Amanda Parer, will work their magic. Amanda Parer’s artwork Intrude, featuring giant illuminated inflatable rabbits, was previously showcased in London, Paris and Tokyo, and will now be on display for Australians to admire. Visual artist Claire Matthews, who is also known as Fuzeillear, said she will be painting on giant cubes throughout the day alongside other artists. 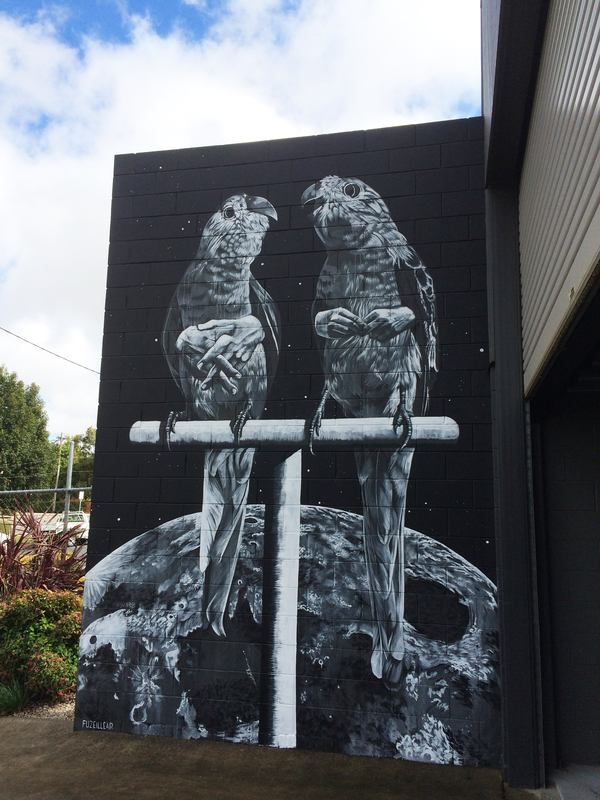 Festival-goers can expect to see more of Claire Matthews’ escapist artworks. Source: Claire Matthews. “What we’re doing is live painting, it’s more like murals on these big two and a half metre cubes,” Ms Matthews said. She added that she is going in a different direction to her usual portrait work for this display. Visual artist Gus Eagleton said he plans to use mainly spray paint to create a graffiti style. “With street work I usually focus on people and identity and things like that. 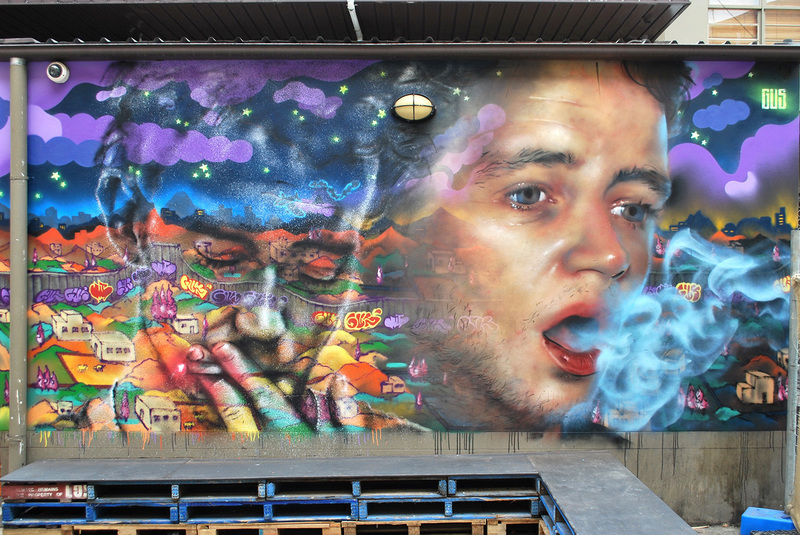 “I think for this one, because I haven’t got heaps of time, I’ll be doing something graffiti related,” Mr Eagleton said. The festival will be held Saturday August 22 at the Horton Park Golf Course on Dalton Drive, Maroochydore.